Metabolic syndrome is becoming more and more common in the United States. According to PubMed, metabolic syndrome is “a name for a group of risk factors that occur together and increase the risk for coronary artery disease, stroke, and type 2 diabetes.” The two most important risk factors are extra weight around the middle and upper parts of the body, and insulin resistance. We recently came across a blog post written by an individual who has been living with metabolic syndrome for a while now. He was diagnosed with type 2 diabetes at the age of 17 which, understandably, came as a big shock. Like many kids, he wasn’t paying that much attention to his health or what he was eating. Just 50 years ago, this might not have been a big deal. Now, however, with kids becoming more and more sedentary with video games and computers, and the declining quality of our food, metabolic disorders are catching up with us quicker. This entry was posted in Customer Testimonials, Health Stories, Lab Results/Biomarkers, Personal System Biology, Quantified Self and tagged Cardiovascular, Cholesterol, coronary artery disease, inflammation, Iron, stroke, type 2 diabetes, Vitamin D on February 8, 2013 by The WellnessFX Team. If you’ve done any type of sports or rigorous physical activity before, you know the importance of recovery. From giving certain muscle groups ample time to rebuild between weight-lifting sessions to sitting out during your favorite CrossFit WOD because of joint pain, recovering can either be routine or annoying and concerning. Our bodies are actually superb healing machines, and there are many ways we can fuel them to be even more efficient and potent. Ben Greenfield, one of WellnessFX’s valued practitioners, put together a free e-book that can be downloaded from his site that goes into ample detail about how to up your body’s healing power. The name? 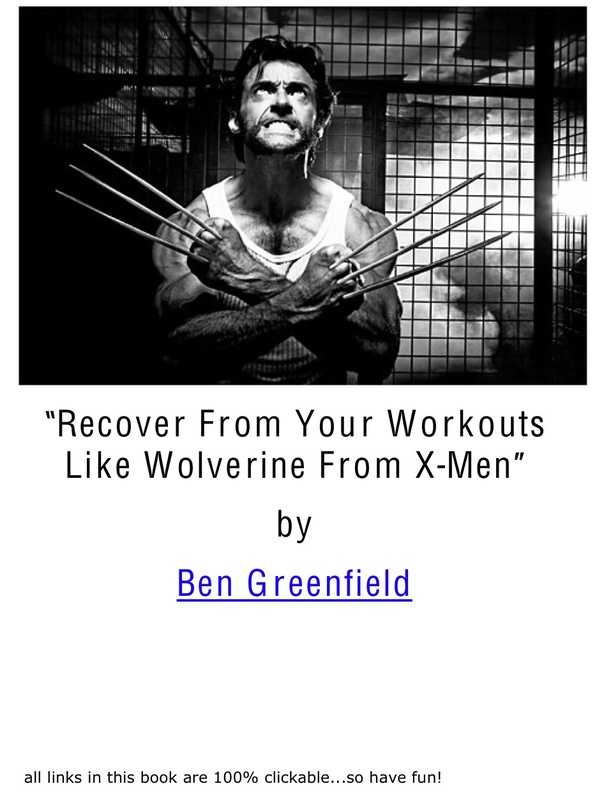 Recover From Your Workouts Like Wolverine From X-Men. This entry was posted in Exercise, Nutraceuticals, Nutrition and tagged "Ben Greenfield", diet, exercise, Iron, ligaments, nutrition, recovery, Vitamin C, wellness on October 24, 2012 by The WellnessFX Team.